Ring sizes: inner diameter – 18 mm; Recommended material - silver or gold! 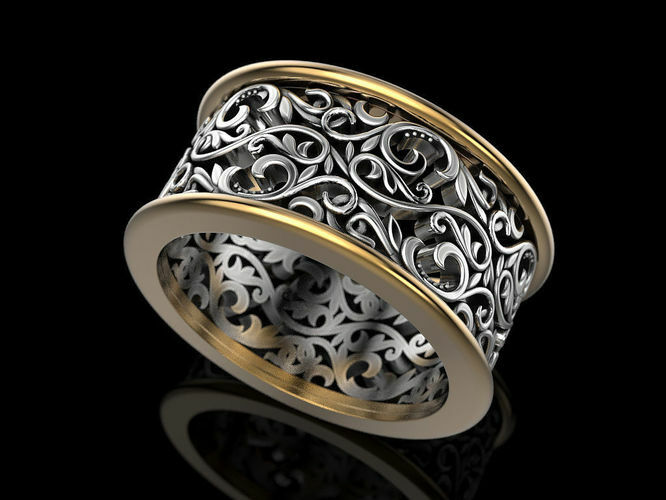 Approximate metal weight (for ring size 18 mm): gold 14k – 10.2 grams; gold 18k – 12.1 grams; silver 925 Sterling – 8.2 grams. Model volume (for ring size 18 mm): 784,595 cubic mm. Model avalible in STL format for prototyping. Geometry is healed, and fixed all the bad with RP Magics software You can check out my other products by clicking on the author name artchagur. Any questions? Please contact me. Thank you! Wow, I think that looks good. very nice!, what software do you use?